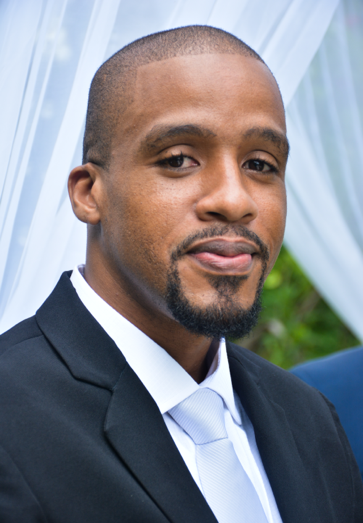 Rory Bramwell is a Jamaican, dual-certified MongoDB Professional working as a DevOps engineer at Pythian, a global IT services company. Pythian helps businesses adopt disruptive technologies to advance innovation and increase agility. This week, Rory’s talking to us about his extensive journey into tech, including his early determination to take a Computer Science course at college, and the support he received from his family to pursue his passion. Eloise Giegerich: Thank you for taking the time to share your story with us, Rory. I know you currently work at Pythian, but how did you arrive at this role? What was it that inspired you to get into tech? Rory Bramwell: I've been curious about IT from a young age, but it was only after high school that I had access to a PC at home. This was around 1998, at the beginning of the widespread use of the worldwide web. Having access to a computer enabled me to get a firsthand view of what computers were and what they could do. This is where I discovered programming languages, the building blocks of the modern OS, and its application software. Over the next few months, I learned the Basic and Pascal programming languages. My next milestone was starting community college in the Natural Sciences program. This program was geared towards preparation for entry to medical school. One day during our math class, the instructor said he was going to start a Computer Science course as a new offering. He asked if any of us would be willing to switch or drop any of our other courses to pursue this new path; I jumped at the opportunity. From this course I was introduced to more computing concepts and learned C++. I remember working for days on a function in C++ to display a multi-colored histogram given a set of five values. This was just for fun, but I learned that I was passionate about programming and wanted to see where it would take me. After leaving community college, I decided to enroll in a 10-month software programming course at the Caribbean Institute of Technology (CIT) (now renamed as Heart College of Innovation and Technology (HCIT)). The main location of the institution was about an hour and a half away, but a new location was slated to be opened about 20 minutes from where I lived. But the opening of the new location never happened that year, so I had to defer my enrollment until I could make arrangements to attend the course at the main location the next year. Over the next year, my passion continued to grow and I took it upon myself to learn C (yes, I went back one step to learn the origins of C++), advanced C++ (classes, templates, and standard library), and Microsoft Visual C++. The next year, with the help of family, I relocated temporarily to the town where the main CIT campus was. Over the next 10 months, I revisited a lot of the programming languages I had previously learned, gained a basic knowledge of the UNIX and Linux operating systems, and added Visual Basic, Core Java, and Java EE to my list of programming languages. At the end of the course, I graduated at the top of the class and received a trophy for excellence as the top performing student, as well as three of four sectional awards. This was validation for my efforts, but more so for my family. A career in IT/programming was new and uncertain, and success at this stage was reassuring. In the years following the software programming course, I worked as a technical representative for a web hosting company where I learned more about web hosting, domain, email, and linux servers. I further supplemented my knowledge by taking classes for CCNA, Cisco's associate level networking certificate, and acquired the official CCNA certification. Over the next few years I branched off into other roles spanning system and network administration, database administration, software design and development, graphic design, telecommunications, IT project management, and service delivery. Throughout the years, one of the keys to staying passionate and motivated has been continuing to learn new, innovative, and more efficient ways of doing things. I've taken full advantages of Massive Open Online Courses (MOOCs), from Coursera, edX, and Open2Study, and taken many other online and offline courses as well. EG: Why did you decide to become a DevOps Engineer/Consultant, specifically? What do you like about your role? RB: DevOps was a mix of all the strengths I had: Development, Operations, Database Administration. It is often said that DevOps Engineers either come from a Development or Operations background; I had a background in both. DevOps was a perfect fit; it allowed me to fully leverage the knowledge and skill set that I had acquired over the years. I currently work as a DevOps Engineer for Pythian, where each day I get the opportunity to help our customers achieve their business goals through the use of continuous transformation and operational excellence. I love learning new and innovative ways to use technology to solve problems. Another thing I love about my role is that I get to work with a highly skilled and talented team, and be part of an industry that has some of the greatest minds and people so passionate about what they do. EG: How did you first discover MongoDB? Have you used or are you planning to use MongoDB in any of your projects? RB: My first formal introduction to MongoDB was while doing a Coursera specialization on Android Mobile Application Development. In one of the videos, the instructor showed us how to perform create, read, update, and delete (CRUD) operations on MongoDB through the use of Spring Data JPA. This piqued my interest in MongoDB, and specifically the benefits it had to offer over traditional relational databases. I visited the MongoDB website and was intrigued by their approach to NoSQL. The use of JSON documents to store records, schemaless design, ease of use, flexibility, and speed of the database were all positives for me. I later discovered MongoDB University and enrolled in my first of many MongoDB Developer/DBA courses. In the past I have used MongoDB as a backend for a mobile application. At the moment I do not have any projects that are using MongoDB. However, I am always happy to recommend MongoDB to friends and colleagues in their projects. EG: What other databases have you worked with, and how does MongoDB compare? Please elaborate on some of the differences between databases, if possible. RB: In addition to MongoDB, I've worked with Microsoft SQL, MySQL, Oracle in the enterprise, and a number of cloud hosted databases. There are a number of aspects to consider when choosing any database for a project. MongoDB shines in instances where you need a solid database that's flexible, fast, scales horizontally, and is aligned with development needs. It allows you to go from zero to MVP to production in a lot less effort than some of the other contenders. EG: What inspired you to become MongoDB certified? RB: After taking a few of the courses on the MongoDB University website, becoming certified was the next step. The courses were well put together, covering not only theoretical concepts but also providing great practical examples to enable you to be productive on day one. I would also like to give a special shout out to the docs team. I found the MongoDB docs website to be a phenomenal resource. EG: What did you find challenging about the courses? What did you find rewarding? RB: As I mentioned, the courses were well put together, so that was plus. In the beginning, a few of the concepts took a bit of getting used to, but each time the docs website provided great supplement and clarity. The further you go through the courses the more rewarding it becomes. You start to see how great MongoDB is and how you can use it to both achieve greater agility and scale to meet demands if/when needed. EG: What are some of the benefits, personal or professional, you’ve experienced post-certification? RB: I followed through on learning MongoDB from getting to know the product and becoming passionate about the myriad of possibilities it provides. I'm MongoDB Dual-Certified – that is, I hold both the MongoDB Certified Developer and MongoDB Certified DBA certifications. I'm also currently the only MongoDB Certified individual in Jamaica as reported by the MongoDB Certified Professional Finder. Being MongoDB certified has helped me stand out when it comes to job opportunities, and in fact was very instrumental in the acquisition of my current job as DevOps Engineer for Pythian. EG: Now that you’ve successfully become certified, can you share any advice for those studying for or retaking their exam? Are there any specific preparation strategies you found useful? Take courses on the MongoDB University website. They are well put together and I highly recommend. Make the MongoDB Documentation website your best friend. The docs website is full of great information and should be thought of as your number one go-to for all things MongoDB. The time I spent on the docs website was invaluable. Jump right in: Download the MongoDB server, install it, and practice. Whether you’re doing Development or DBA, nothing substitutes for practical application of the knowledge you've acquired. EG: It’s been great learning about your tech journey. To close, what has been your greatest takeaway from your certification process, and why would you encourage others to pursue certification? RB: The greatest takeaway for me was the personal satisfaction of acquiring the certifications. Getting to know MongoDB and the possibilities that it provides will open your mind to thinking about new and innovative applications you can develop. Whether you’re a developer working on mobile, web, or desktop applications, or a DBA that ensures the performance, availability, and security of your organization’s databases, I encourage you to become MongoDB certified. You will stand out as a qualified and highly sought after professional, and be part of a thriving community of MongoDB certified professionals. Thanks for sharing your story, Rory! If you’d like to hear more from Rory, follow him @RoryBramwell on Twitter. And if you’re interested in getting professionally certified, you can learn more about the MongoDB certification process. If you’re already certified and would like to be featured in a future blog post, let us know at [email protected].